Barcelona hit the post twice against Valencia in the 2-2 draw on Saturday, both times from Sergi Roberto efforts. That's 24 woodwork hits for the season, although on three occasions it led to a goal. 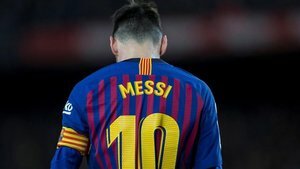 ¡El Barça ha rematado 24 veces a la madera! Only six Barca players are responsible for all those hits. Lionel Messi has the most, with nine. Luis Suarez follows with five, Coutinho four, Dembele three, Sergi Roberto two and Munir El Haddadi, now of Sevilla, has one. In seven games Barcelona have hit the woodwork twice. They have hit the bar nine times, the left post nine times, and the right post six times.